As if podcasting weren't "Web 2.0" enough already, now I'm getting deeper into social media by offering a Book of Life Facebook fan page and Twitter feed! A shout-out and welcome to those of you who are receiving this post through Facebook right now. Thanks for "fanning" my page! For others who want to know what I'm talking about, click here to see The Book of Life's Facebook fan page, which allows you to receive podcast episodes and news right on your Facebook wall in your feed, and gives you an interactive space to post your comments, or even to post related links, pictures, or videos. You can view the page whether you are a Facebook user or not, but to become a fan and use all the page's features you'll need a Facebook account. I'll be posting Book of Life Twitter updates at twitter.com/bookoflifepod. If you use Twitter, please "Follow" me to stay up to date on Book of Life news. Also, I'm interested in using this Twitter account to follow others active in Jewish literature, music, etc., so please feel free to suggest relevant Twitterers to me! Just a note about the Facebook application, "Networked Blogs." Networked Blogs is one of those third-party apps not developed by Facebook, but which can be used through Facebook to follow a blog. Several weeks ago, I signed up The Book of Life for this app and announced it at bookoflifepodcast.com. However, the new Facebook fan page duplicates the same function by allowing you to receive our blog posts in your Facebook feed, and it also offers more interactivity. So while The Book of Life is still available via Networked Blogs, I'd encourage you to use the Facebook fan page instead. 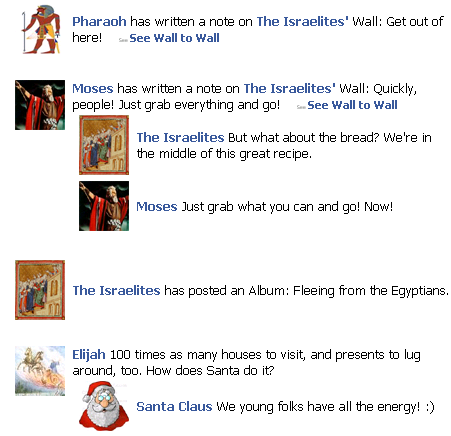 The Passover spoof Moses Is Departing Egypt: A Facebook Haggadah swept the Internet this spring. In this episode of The Book of Life we interview its creator, Carl Elkin, about the Haggadah and about another Facebook project dear to his heart, Yes We Conserve. I'd like to dedicate this episode to the memory of my father-in-law, Stanley Estrin (z"l). Today is his yahrzeit, plus I know he would have gotten a big kick out of Facebook. Judy Blundell has written over a hundred books under various pen names, but won the National Book Award in the Young People's Literature category with her first book in her own name. The book is called What I Saw and How I Lied and it's a noir-inspired mystery and coming of age story set in post WWII Palm Beach. Like real life, the story is complex, multi-layered, and not easy to sum up, but just to give you an idea, it's the story of Evie Spooner, whose stepfather Joe has returned from the war and whisked Evie and her mother off on a spur of the moment vacation to Florida. Their vacation is shadowed by a mysterious and handsome stranger who knew Joe in the army. Bit by bit, Evie starts to uncover the dark connections between the adults in her life. Enjoy Judy Blundell's National Book Award acceptance speech (with introduction by Lemony Snicket! ), and hear "Long Ago and Far Away," the song that inspired Judy as she wrote - first the Jo Stafford version, then the scene from the movie musical "Cover Girl" with Rita Hayworth and Gene Kelley! Our background music is provided by The Freilachmakers Klezmer String Band. 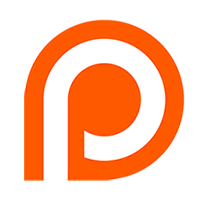 The recording of "Long Ago and Far Away" played by Mike del Ferro is from the Podsafe Music Network.